My wife and I have visit several of the casino resorts around Seattle. There is not much written about which is the best or worst and what they offer but through experimenting we have found one that stand out that is comparable to a Vegas resort (the hotel not the casino). We don't spend much time in the casino's really. The state has Indian casinos but do not operate like Vegas casinos with the games based on lottery or bingo which frankly I don't understand. When we do play it is mainly bingo for fun. We were very impressed with one of the resorts however. The Tulalip Resort and Casino just outside Olympia reminded the most of the resorts we have stayed at in Las Vegas. 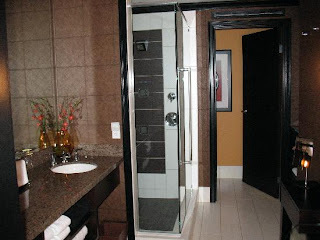 The rooms are fantastic and modern with one of the best bathrooms I have seen at a hotel in a long time. 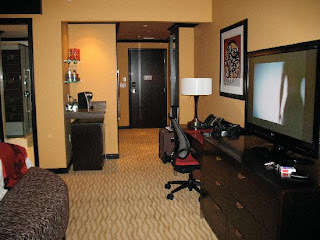 Everything in the room looked brand new and ever thing is very well maintained. The beds were extremely comfortable and the spa services and gym at the hotel were awesome. If you are searching around for a great casino resort in Seattle to have fun (dont play seriously) and have a great place to unwind for a weekend try this one out.